Some people think Sushi is totally Japanese. Some people think fried rice are totally chinese. Likewise, some people think kimchi is totally Korean. and kimchi is found a lot in all three countries: Korea, Japan, and China. Although they all differ in taste and ingredients, it's the same concept. 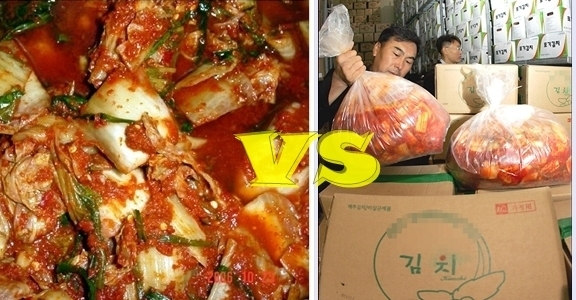 Japanese kimchi is different, too, but our kimchis are similar. and some people like just the sliced radishes without the actual cabbage that makes the kimchi. and it is often eaten a lot with Bossam (steamed pork). this is just about all the difference. Not so different, is it? Here's an extra thing just because the baby looks pretty cute eating those kimchi. 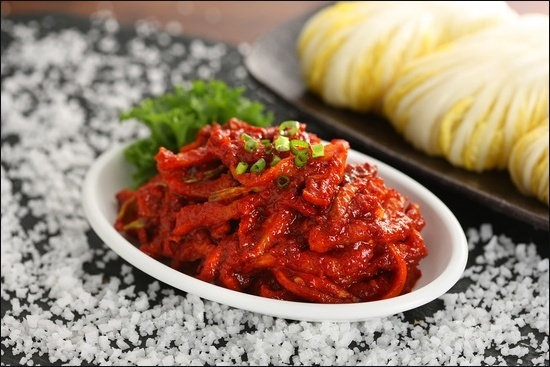 Honestly, why kimchi is hard to like is not because it's spicy. Well, this kid seems to really love it. I mean.. that's pretty damn cool!!! wow 2 year can eat is amazing guess that one not very hot one.